Mortal Kombat was, is, and always will be that title that will delight fans of gore and shock your grandma! The series is a side view perspective fighter. The graphics are all real actors that have posed in various positions. Kicks, punches, headbutts and general fighting stances. The photo's were then taken and converted into a sprite for the game. The sequence of photo's made the fighters look like they were really fighting. For the time, this was cutting edge technology! 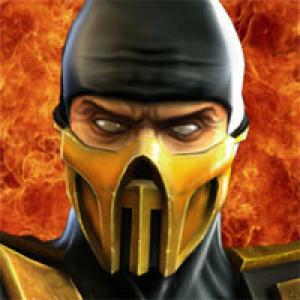 Mortal Kombat was perceived as the most violent video game created. Words like "Demented" and "Sick!" were used when discussed at a conference about the level of violence. The game was so violent, a Congressional hearing was held. The message was simple. The video games industry had to come up with a way to filter these games so minors could not play them. There-for, the ESRB rating system was born! Mortal Kombat is a bloody, gory and twisted fighting game that has gamers screaming for more each time! Ermac is now a full character since boon decided to add him back in UMK3. Ermac was rumored to be born from a glitch on the Se ga version of the original MK. When choosing scorpion, it was said sometimes an error would pop up saying "Error Macro". This was what created Ermac. Error Macro -> Ermac. The "Glitch" was always disproved by many people, but many still said it was true. Ed Boon decided "You know what? They want him, let's make him". Due to a fake glitch, an awesome character was born. Thanks internet dwellers! When doing certain moves, a man will pop up in the bottom right corner of the screen and shout "Toasty!". The man you see is Dan Forden, the lead sound designer of the game. It started as an inside joke. Mortal Kombat 2II was the firast of the series to fesature dan's now-famous toasty.